Vous souhaitez poser une question à l'établissement Silver Garden Resort ? 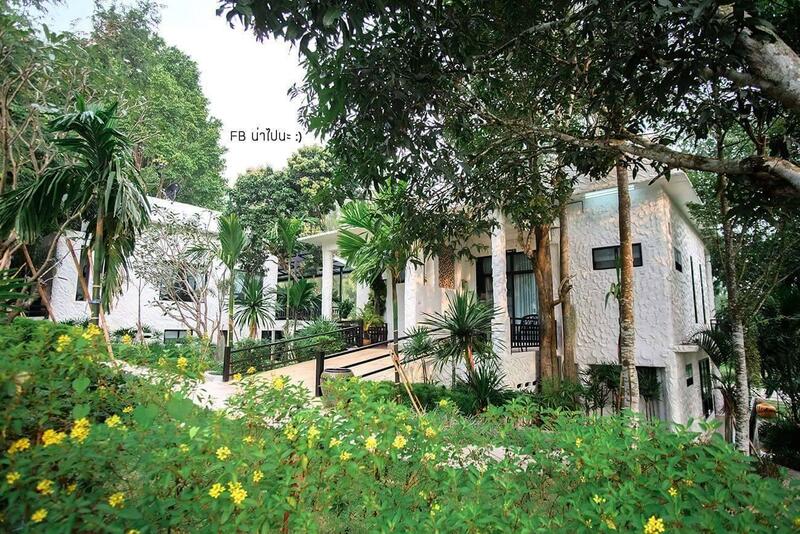 Conçu aussi bien pour les affaires que pour le tourisme, Silver Garden Resort est idéalement situé dans Suan Phueng, un des coins les plus populaires de la ville. A seulement 86.4 km du centre-ville, les clients sont très bien placés pour profiter des sites et des activités. Grâce à son excellente situation, l'hôtel permet de facilement se rendre sur les sites incontournables de la ville. 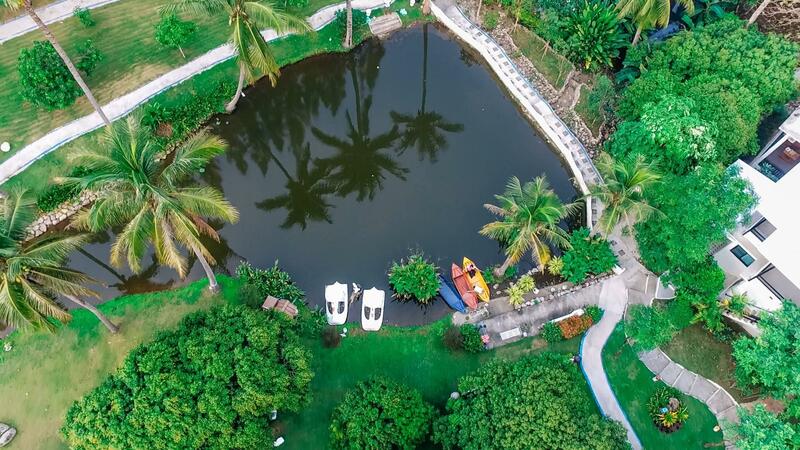 Le Silver Garden Resort met tout en œuvre pour le confort de ses clients et propose les meilleurs services et équipements possibles. Un éventail d'équipements supérieurs tels que sécurité 24h/24, cheminée, ménage quotidien, laverie automatique, accessible en fauteuil roulant sont à disposition dans cet hôtel. L'hôtel comprend 21 chambres superbement aménagées, dont certaines sont dotées de télévision écran plat, miroir, canapé, serviettes de toilette, salon séparé. Les installations de loisirs de l'hôtel, qui comprennent bateaux, aire de jeux pour enfants, jardin, karaoké, sont conçus pour assurer une détente maximale. Si vous recherchez confort et côté pratique à Ratchaburi, posez vos bagages au Silver Garden Resort. Silver Garden Resort is simply a great place to stay. The host is so friendly and helpful. Location may be a little far but it’s all worth it. Spread of breakfast is good with an excellent ambient. Certainly a thumbs up resort. Very good atmosphere. A lot of green area with small stream along resort. Owner and staff team are also very nice and good service. Food can be order to room and also delicious with reasonable price. All facilities in room is ready to use. Breakfast is also nice and delicious. There're thai curry with rice and fried rice, noodle soup and fried egg, and espresso machine too. Recommendation :: Water pump sound disturb at my room. Should be have fresh milk for breakfast. Knowing this place via agoda.com. Everything shown in agoda web were exactly I found such as nice room, clean, organic fresh vegetables etc .Very happy to have a chance to stay here . Resort location is quite far from town then visitors who would to stay there must have car. Overall place is good and recommend to stay. Rooms are modern and clean, beautiful garden view. There are English speaking staff, salad is fresh from the garden, very nice! There are bikes from the hotel to ride around. Dogs in hotel are very friendly. The area is surrounded by mountains, road is good to drive around. Far away from the city, I spent one night there with family. After I arrived 1 hour then the power cut for 3-4 hours. We had to wait the power back until evening that very bad experience. The environment is a bit old and not suitable for elder for walking around. Good for family with older (peaceful, good for walking around) and very young kids (ของเล่นมีน้อย) For older kid good for stay and travel around as many exercise around. Vegy is very fresh and food is good taste either breakfast or other order meal. Staff is very friendly. Recommended! The resort is very quiet with nice scenery. The owner and staffs are very friendly. Although the power was cut temporarily at the time we arrived, this place still deserves appreciation and recognition in other aspects. The resort is few hundred meters from the main road and easy to find. Nice restaurant can be reached within few kms range. The resort manager is kind enough to upgrade my rooms to the bigger one with living room. The rooms are well equipped but without hair dryer. The extra bed is a thin (2inch) mattress on the floor not a bed. Breakfast portion is quite small either porridge or American style. The area is quiet and very good for a rest from your busy days in city. Clean and in decent location. Facility is not really superb. Good thing is that you can use another pools and facilities in another hotel side. Great place to stay, nice rooms, very clean, very friendly management, great breakfast. Highly recommended. Food, room and service very good. We coming back. Walking distance to waterpark. nice and friendly staff. Location a bit too far.